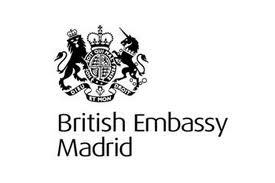 This information has been received from the British Embassy in Madrid. It is imperative that if you rent out property and/or you are tenants you should understand it. We hope this helps. If you are planning on letting out your property to tourists on a short-term basis you must ensure that you are doing so in accordance with Spanish law. The regulations on letting tourist apartments (apartamentos turisticos) and holiday homes (viviendas vacacionales) to tourists will vary depending on the region where the property is located. Therefore if you are planning on making a return by renting your property, it is best to seek independent legal advice and check with your local town hall (Ayuntamiento) what the local licensing laws are before you buy. This is particularly important in Catalonia, the Balearic Islands and the Canary Islands, where the rental of holiday properties on a short-term basis is strictly regulated. Owners who are caught illegally letting out their properties without the correct licence are liable for significant fines, in some cases reaching as much as €30,000. If you are planning to buy an apartment which is part of a Comunidad de Propietarios (Committees of property owners are responsible for the management of communal areas of apartment buildings/complexes), you should also check whether there are any rules that prohibit or restrict short-term letting. You may want to consider hiring a Spanish letting agent to assist with finding tenants, drawing up rental contracts and managing the property on your behalf. Owners who rent out their properties on a long-term basis are not generally required to apply for a special licence. However, it is worth seeking professional advice to make sure that you are complying with Spanish legislation and that you are using the correct rental contract. In Spain, there are different types of contracts depending on how long the property is being let for, such as arriendos de vivienda, which are for a minimum of five years and arriendos de temporada, which are generally for one year or less. You can get copies of these contracts from tobacconists (estancos). 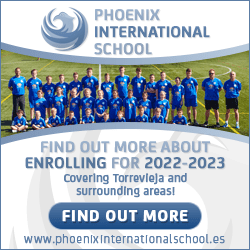 You should also be aware that whether you are resident in Spain or not you will need to declare your rental income to the Spanish tax authorities. You may wish to seek advice from a professional tax adviser (asesor/gestor). You must ensure that you declare your rental income to the Spanish tax authorities (Hacienda/Agencia Tributaria).The Embassy has some general information about taxes relating to the purchase, maintenance and sale of property on the UK in Spain website. However, taxation is a complex issue, and it is advisable to seek the advice of an accountant or professional tax adviser with comprehensive and up to date knowledge of both the UK and Spanish tax regulations. More details can be found on the Consulate pages of our website.